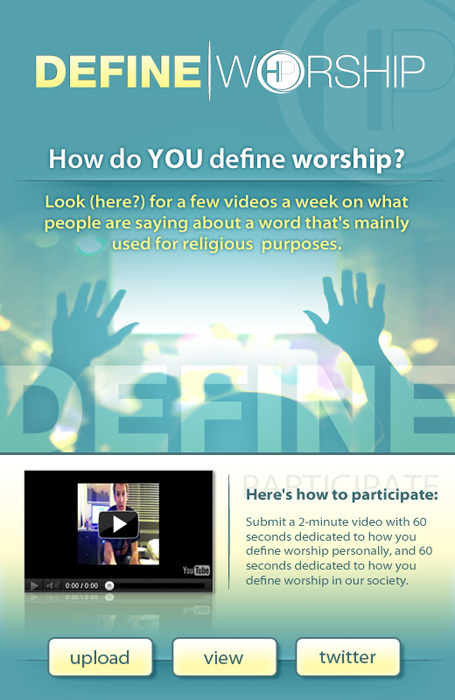 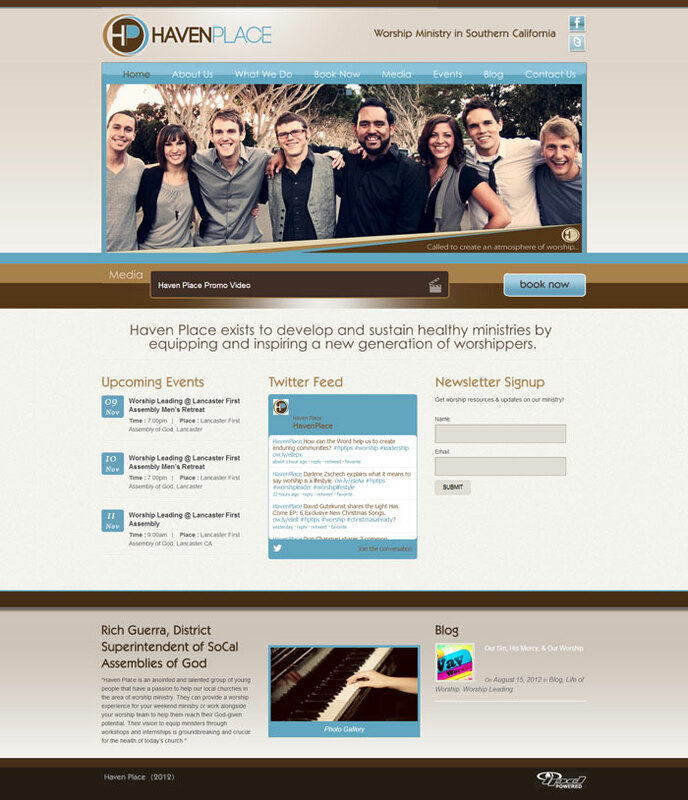 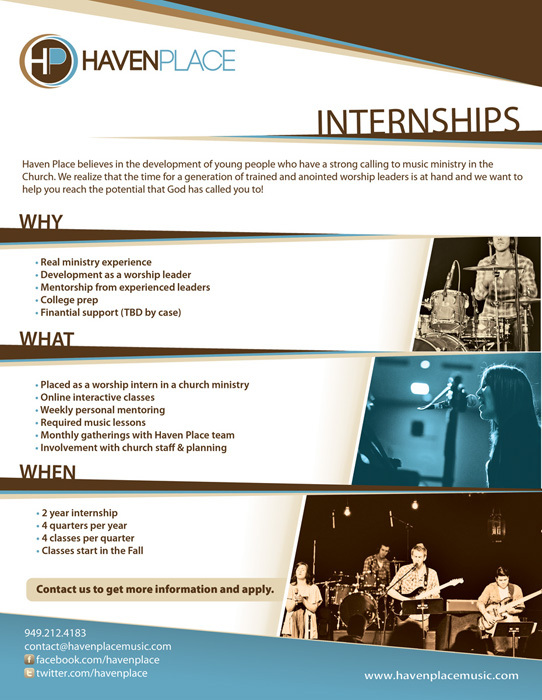 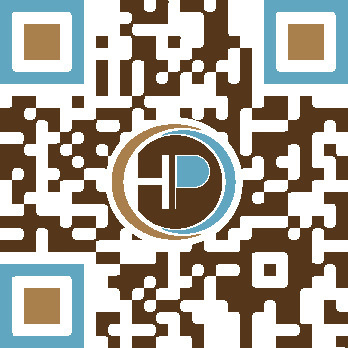 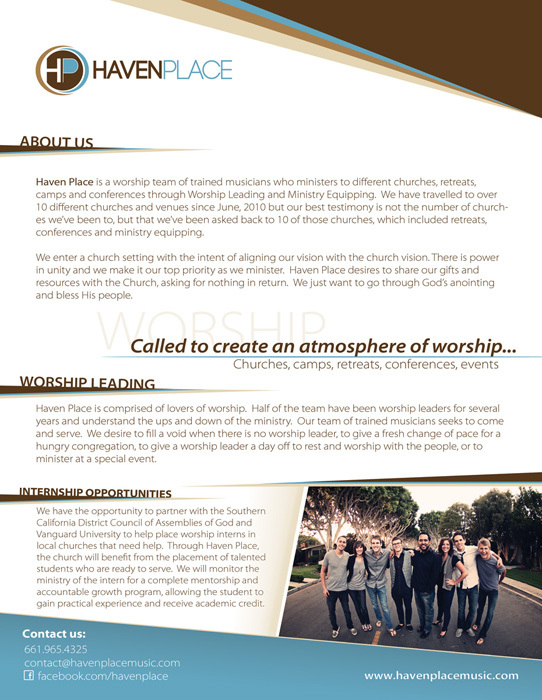 Havenplace formed in the summer of 2010 as a group of friends who wanted to continue to minister over the summer months between school semesters at Vanguard University in Southern California. 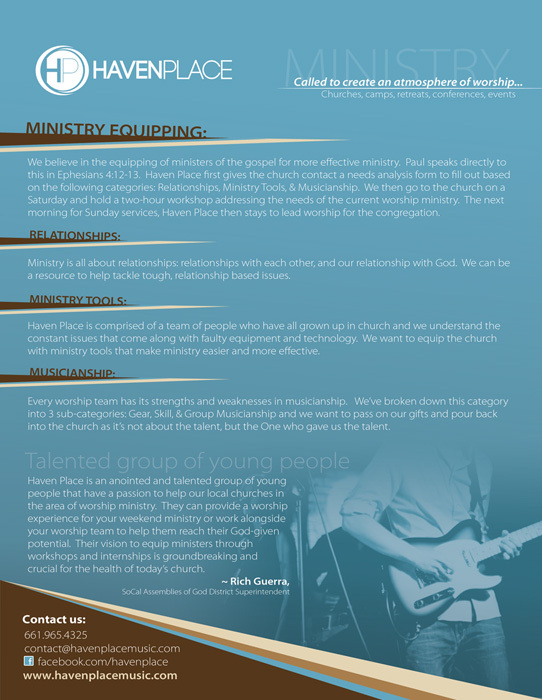 As God’s anointing on the group became clear, they continued to minister as a full-fledge ministry team. 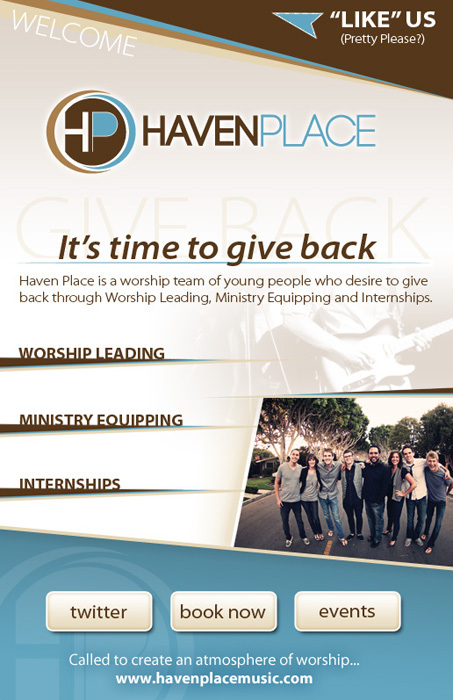 Haven Place has travelled to many different churches and venues since its existence in 2010.